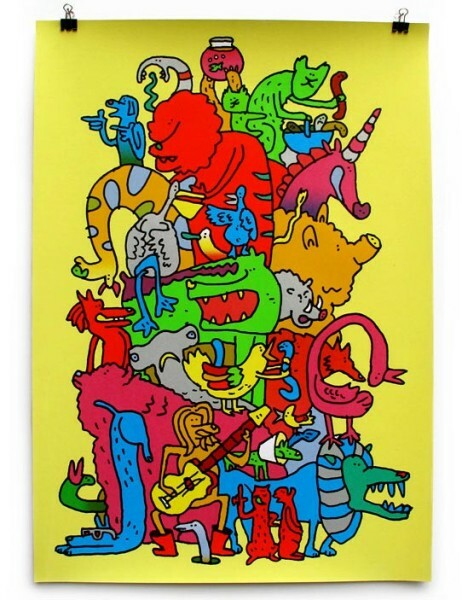 Andy Smith created this 10 colour silkscreen measuring 65cm x 46cm It was made for 'My favorite present', a Christmas show organized by the Soma Gallery in Bristol, England. It's printed in an edition of 30 and can be bought exclusively from Soma Gallery (link below). These prints are priced at £60 each.